Fantastic hotel. This is a 5-star hotel, not 4. Fantastic staff, front desk, bell desk, and waiting. Beautiful rooms. The view of the Burj is tremendous! About 10-15 min way to Burj Khalida and Dubai Mall. Dubai mall is easily accessible via a skywalk connector at the metro station but does require a 15-20 min walk. Dubai Mall is located in a scenic area of Dubai known for its major shopping area and must-see aquarium. The neighborhood is home to 209 hotels and other accommodations, so you can find something that works for your stay. Roda Al Murooj: With a stay at this 5-star hotel, guests can enjoy access to 3 restaurants and an outdoor pool, along with free WiFi. Our customers like its pool and convenient parking. Rove Downtown Dubai: With a stay at this 3-star hotel, guests can enjoy access to a restaurant and an outdoor pool, along with free WiFi. It's a favorite with Expedia travelers for its convenient parking and proximity to the airport. 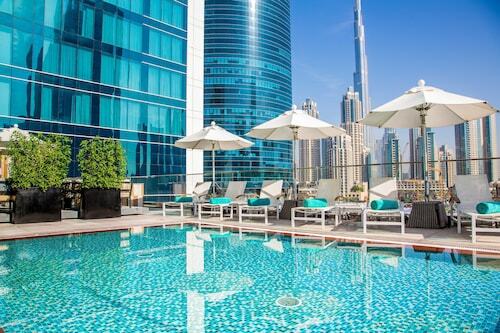 Armani Hotel Dubai: This 5-star hotel features a full-service spa, 4 restaurants, and an outdoor pool. It's a favorite with Expedia travelers for its breakfast and comfortable beds. Now that you've visited Dubai Mall, you can explore the sights within just a few miles of the area. Dubai Museum, Dubai International Art Centre, and Etihad Museum feature captivating exhibits. Dubai Fountain, Burj Khalifa, and Jumeirah Mosque are some of the notable landmarks to see in the area. Spend some time wandering around Dubai Creek, Safa Park, and Creek Park. 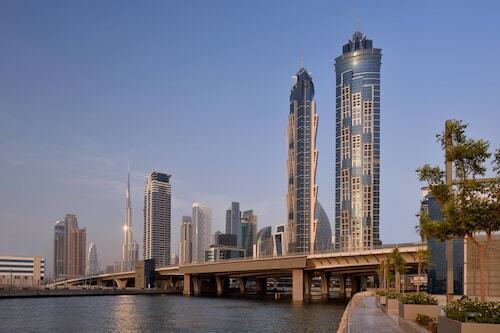 If you want to see more of the surrounding area, you might plan a visit to Dubai World Trade Centre and BurJuman Mall. You might also stop by Dubai Cruise Terminal, located 4.3 mi (6.9 km) from Dubai Mall, or City Centre Deira which is 4.8 mi (7.7 km) away. 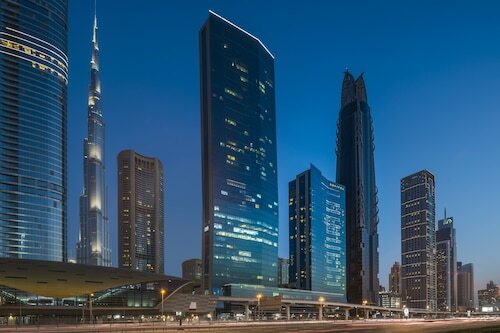 Nearby metro stations include Burj Khalifa - Dubai Mall Station and Business Bay Station. If you'd like to explore around the area nearby, consider renting a car to take in more sights.